Twilight... Scrapbook?!. . Wallpaper and background images in the Critical Analysis of Twilight club tagged: twilight critical analysis funny scrapbook. OMG! That's RIDICULOUS! I can't believe kids make their parents spend their hard-earned money on that sh*t! Stickers with sparkelepire faces... Paper that says Edward & Bella & paper that says Twilight. Also, paper with little wolves on them that say 'Team Jacob' & paper with apples that say 'Team Edward'. Am I the only one that thinks this is completely ridiculous? 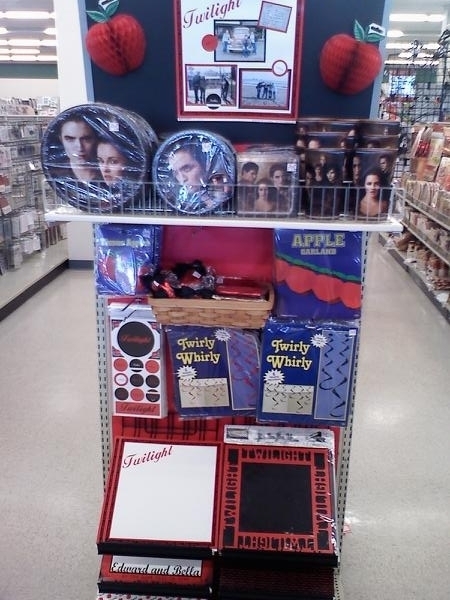 Hey, Twihards need a place to put their photoshopped pictures of them next to Edward Cullen. They started to make money from this too? I wonder what's next. Imprinting was inspired by ducklings and dragons.